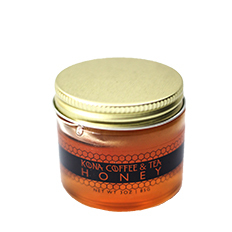 The Kona Coffee and Tea Company has 130 acres on which they grow their Award-Winning Kona Coffee. Within this acreage are several hundred bee hives. The bees flourish in this environment due to the farm’s seclusion, elevation, cool climate, and serenity. With these ideal surroundings, the bees to make more honey. The bees are mostly producing honey from what they acquire off our coffee trees. However, when the Kona snow melts – the coffee blossoms cease to bloom – the bees are also known to hit some of the neighboring Ohia Lehua and the Christmas Berry, aka Wilelaiki. Our honey will vary from season to season. But our bees will constantly be producing some of the finest and most uniquely flavored honey you’ve ever tasted! 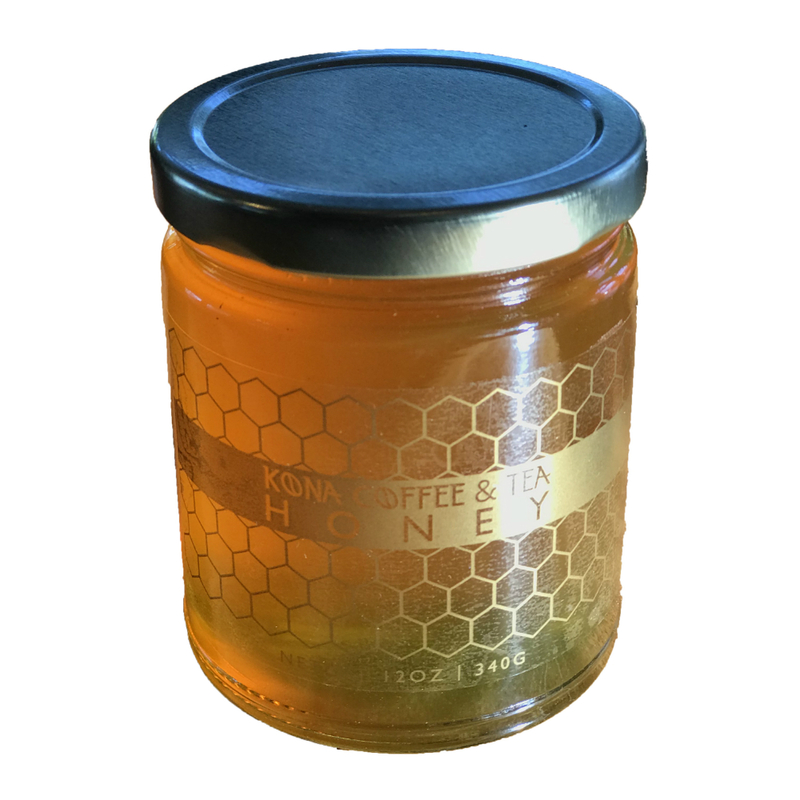 Try some for yourself and see how different our Kona Coffee and Tea Honey truly is. From Steve Giedzinski of Long Beach, California on 4/7/2018 . I got this with my monthly coffee order to try out. It is excellent tasting honey. From Bruce Smith of Simi Valley, California on 4/5/2018 . There is very good honey, and then there is amazing honey. This is the latter, bar none! From Esther Dastouri of Clarksville, Maryland on 3/15/2018 . It was so delicious, I was eating it straight out of the jar with a spoon. It has a slight texture that makes eating a spoonful of it very satisfying. I love putting it in my coffee and also tea! From Gary Bear of Huntington, Indiana on 12/11/2017 . I never add anything to my coffee, but I have to say this changed my mind! Use sparingly because this might be the best honey ever. From Derek Martin of cloquet, Minnesota on 12/8/2017 . From Coffee Drinker of TX, Texas on 12/8/2017 . This is great honey, nothing better than in my peaberry coffee.